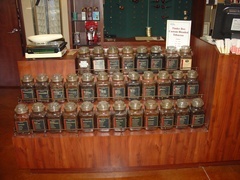 LOCKER MEMBERS RECEIVE 10% OFF ALL PURCHASES, (including Alcohol) and 20% BOX PRICING! 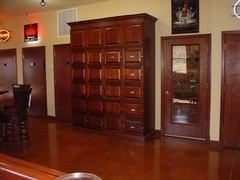 LOCKER MEMBERS RECEIVE 10% OFF ALL PURCHASES, (including Alcohol), and 20% BOX PRICING! 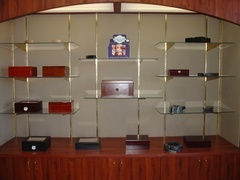 Personal Humidified Cigar Locker has cedar lining, private keys, and personalized nameplates. 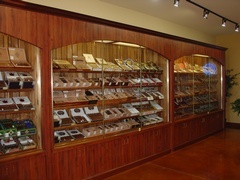 By leasing a cigar locker you become an exclusive member of Aiello's Cigar Locker Club, and will receive preferential access for hard to find cigars. 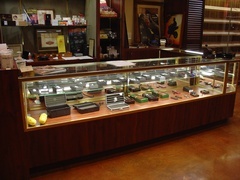 The special cigars you specify will be reserved for you, before they are made available to the general public. 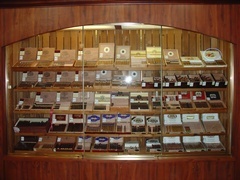 Also, as a member you will be able to use your locker as your own personal humidor*. This will assure your cigars are being maintained at the proper humidity and temperature. The cost of the membership and locker is $400 per/person ($700 for a shared locker of 2 people) for one year. *Locker member(s) is responsible for maintenance of their locker.